From time to time I bring up the cases of cultural differences, perhaps some ponzi pimps will think twice. even US on a smaller scale. So now I can add another country - Peru to the list. Last edited by NikSam; 05-30-2014 at 02:50 PM. What can be worse than jail ? - An angry mob with torches and pitchforks. If I read the story right, they slipped up at the bank, and the manager hit the alarm, they fled, and was caught soon after, where they confessed that they're only trying to recover their money. 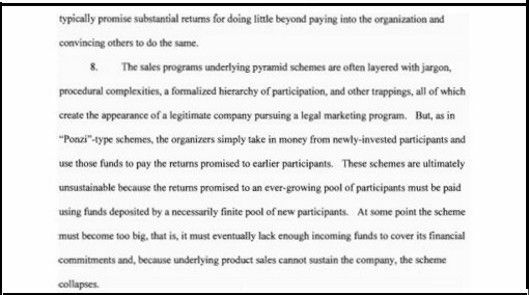 James Merrill is the President of a company, TelexFree, Inc., that perpetrated one of the largest pyramid schemes uncovered in recent memory, involving about 1,000,000 investors (“promoters”) in dozens of countries and hundreds of millions of dollars. As the “American face” of TelexFree, Merrill was a minor celebrity to TelexFree promoters the world over, and so enjoys a substantial network of international support, from Canada to the Dominican Republic to Central and South America. These supporters include his close friend of 20 years, co-defendant Carlos Wanzeler, who is now a fugitive in Brazil. The scheme was so large that, if convicted, Merrill faces an advisory Guideline range of life (by about seven levels). (“VOIP”) product through the use of “multi-level” or “network” marketing. TelexFree was a global success. From its inception in 2012 until its collapse in April 2014, it attracted between 750,000 and 1,000,000 investors worldwide and, according to the company’s admission, took in about $1,000,000,000. But TelexFree was a pyramid scheme. That is, the massive amount of revenue the company received between February 2012 and April 2014 did not come from its VOIP product selling like hotcakes, but from an ongoing influx of investor dollars, which it then paid out in commissions. Becoming a TelexFree “promoter” cost $340 or $1425, depending on the level of buy-in. But once someone signed up they were able, for example, to make a guaranteed 200% to 300% annual return on their investment for doing basically nothing and without selling a single VOIP product. Merrill knew all of this. 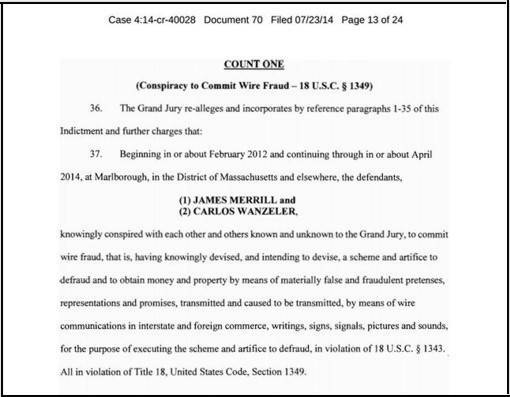 And, as Merrill’s motion itself illustrates, see Def. Mtn. at 18, the company tried hard to make it look legitimate. The details of the TelexFree compensation scheme are easy to confirm –anyone with an Internet connection could read James Merrill’s PowerPoint tutorial about how to get rich with TelexFree. See, e.g., Govt Exh. 1 at 10-12 (“See our opportunity presented by our President James Merrill.”). Following the math for the various interlocking bonuses TelexFree paid, a promoter could make thousands of dollars without ever selling anything. Unsurprisingly, as TelexFree’s accounts reflect, over time about 99% of its incoming money was from new investors while about 1% was from VOIP sales. And it was a lot of money. For example, in a single account, active for five months in 2013 and 2014, TelexFree took in $234,705,815. Of that, $425,696 was attributable to VOIP sales. That’s less than .2%. See 5/20/14 Trans. at 6-9 (court’s findings on TelexFree compensation and revenue). As the evidence showed at the detention hearing, see, e.g., Govt. Exh. 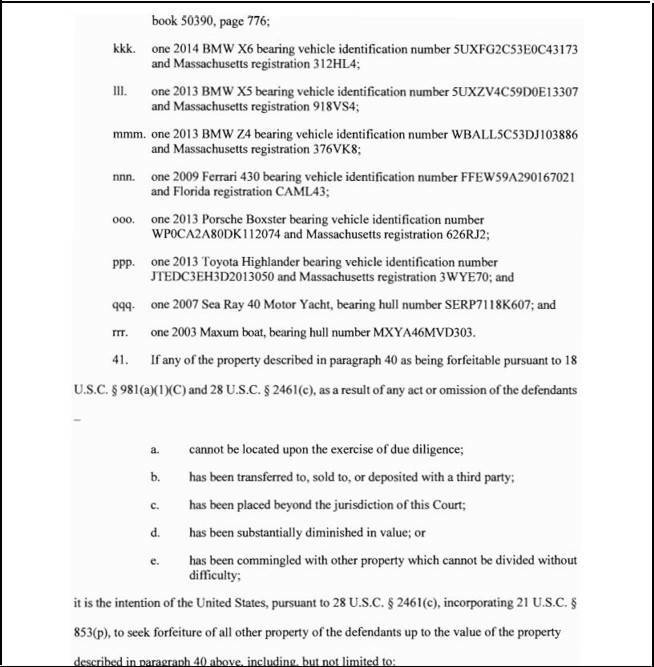 1, and as Judge Hennessy specifically noted in his findings, 5/20/14 Trans. at 7-9, this ratio was consistent across numerous bank accounts and credit card processing accounts between February 2012 and March 2014. For example, every TelexFree promoter who wanted to earn bonuses for recruiting other promoters was required to sell at least one VOIP package. So, many TelexFree promoters simply sold it to themselves, using a different user name, and then collected a 90% commission on the sale, for a net cost to the promoter of $5.00. 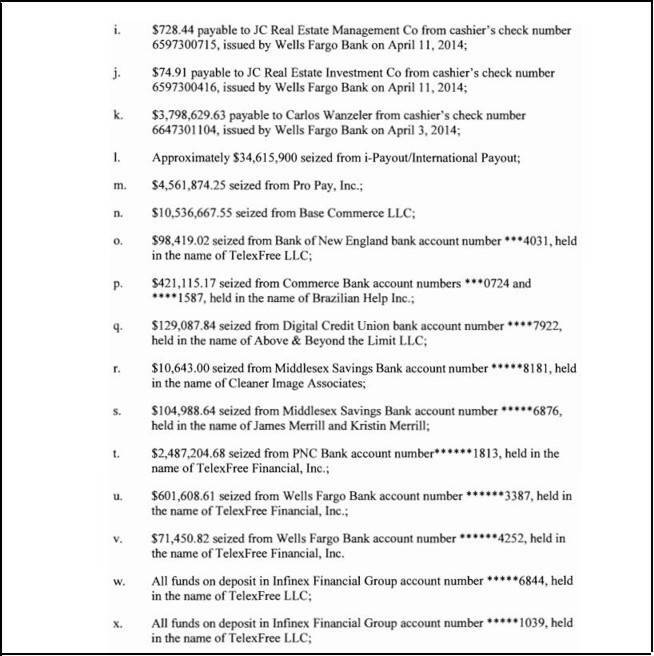 These are not real customers, but TelexFree’s back office system counts them as such. 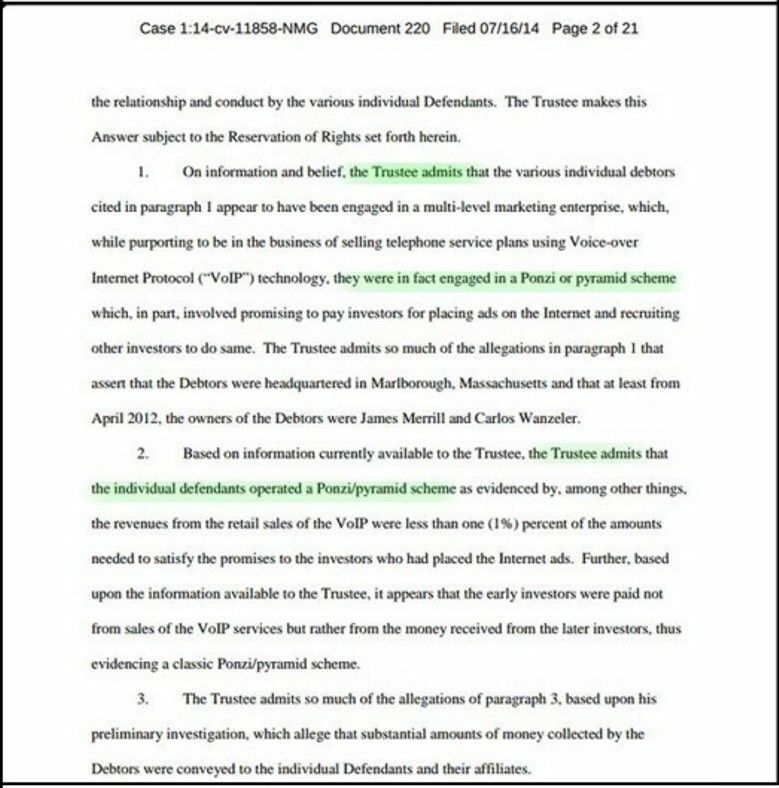 Meanwhile, every single TelexFree bank and credit card account showed that actual VOIP sales were 1% or so of revenue, but somehow, we are told, all of the missing, legitimate, sales are hiding in the back office – the one revenue source that is not readily reviewable at this stage of the proceedings. like many “multi-level marketing” companies, TelexFree has a disturbingly cult-like quality. Egged on by the company itself, promoters spoke of “reaching their dreams” and being “100% TelexFree.” TelexFree’s promoter extravaganzas – in the United States, Brazil and Spain, among other places – were recorded and posted on YouTube. These events had a “boisterous . . . rock concert atmosphere,” at which crowds of promoters cheered James Merrill when he took the stage. See Detention Hearing Transcript (5/16/14) at 15-19 (“5/16/14 Trans.”). Merrill would have the crowd “do the wave.” As the “American face” of TelexFree, crowds of foreign promoters lined up to have their pictures taken with Merrill; his wife conceded that he was “treated like a minor celebrity.” Id. at 42. In or about November 2013, TelexFree rented a cruise ship and invited thousands of promoters to join a cruise off the coast of Brazil. Merrill addressed the crowd of (at least) hundreds from the promenade deck, helicopter hovering in the background. Id. 43-44; 5/20/14 Trans. at 11-12 (court’s findings). thousands of these promoters do not live in the United States, but in Canada, the Caribbean, and Central and South America. See 5/16/14 Trans. at 15; 5/20/14 Trans. 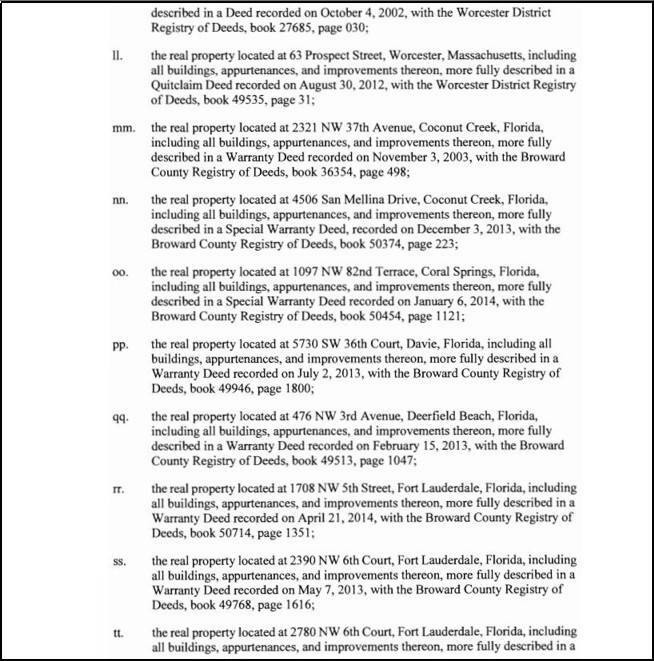 at 9 (court’s findings). Thousands remain fanatically loyal to the company which, despite the bankruptcy and three government enforcement actions, they see as helping hard working people make a little money on the side. See 5/16/14 Trans. at 18-19; Govt Exh. 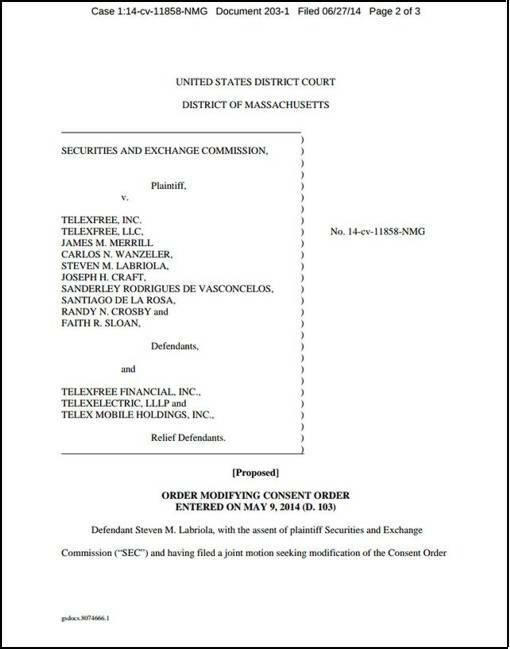 2 (binder of hundreds of letters of support for TelexFree, submitted by promoters worldwide in the SEC civil action). 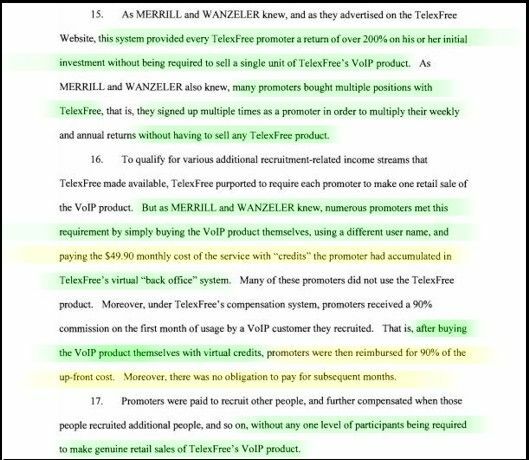 Many TelexFree promoters, at least the earlier ones, made substantial sums from their involvement. 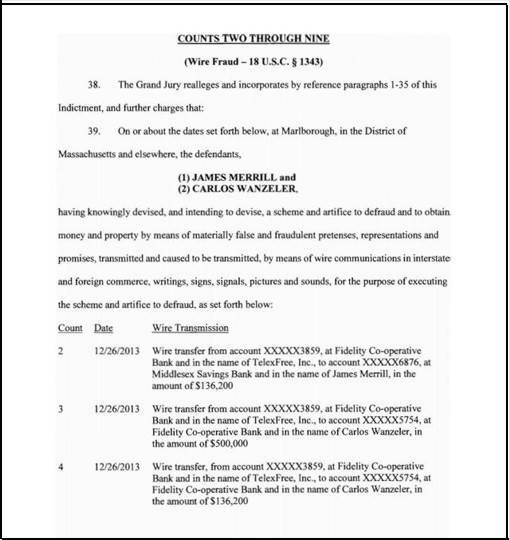 One witness has described the two men as “like brothers.” According to bank records, in February 2013, Wanzeler gave Merrill a check for $865,000, using funds drawn from TelexFree’s Brazilian operations. 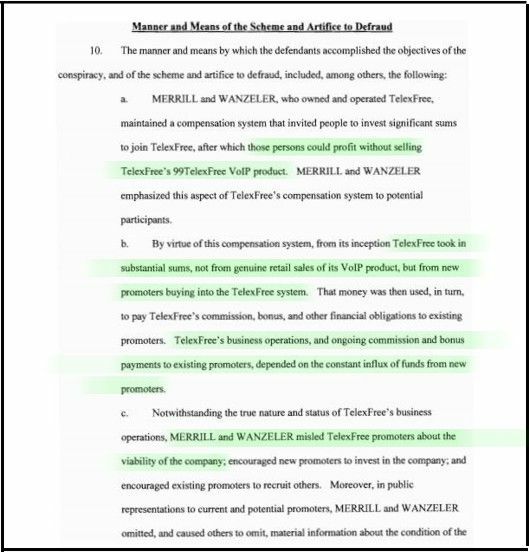 In December 2013 – around the time he withdrew $3,000,000 for himself – Merrill authorized the transfer of about $7,000,000 to Wanzeler from TelexFree accounts. 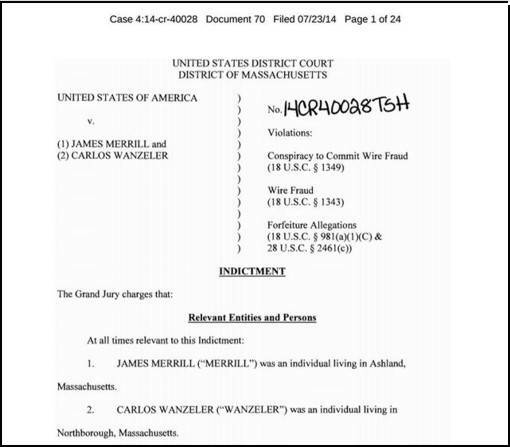 The real risk here is not Merrill fleeing to Brazil, but Wanzeler helping him from that location. 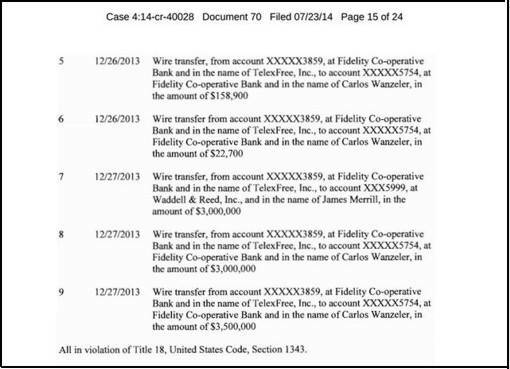 TelexFree has substantial assets overseas. The government has managed to freeze millions of dollars in United Kingdom and Singapore accounts, but various accounts remain unfrozen. There is a TelexFree account in Cayman with the Royal Bank of Canada. It remains unfrozen and the account balance is unknown. Similarly, the government has seized a $10,000,000 cashiers’ check made out to TelexFree Dominicana SRL – TelexFree’s Dominican entity – but no Dominican accounts are frozen. 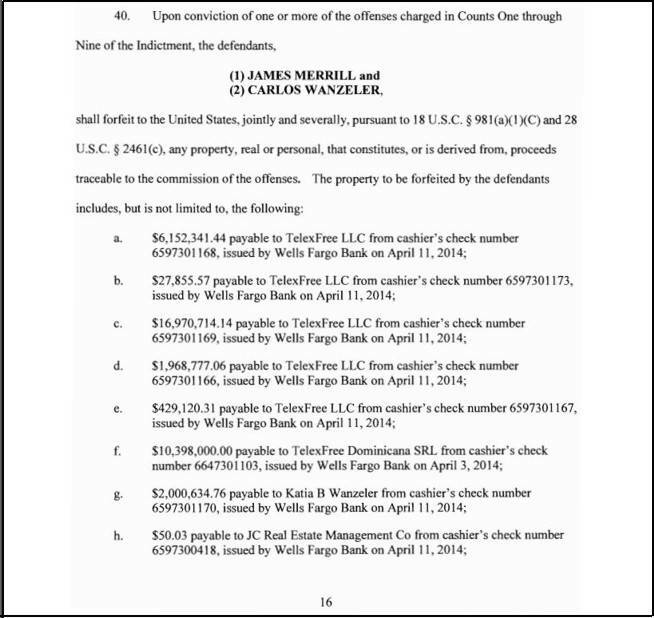 Finally, in or about 2013 Merrill and Wanzeler traveled to Singapore, where we know there are three accounts in the names of TelexFree and Carlos Wanzeler. One of these accounts is frozen, but not the other two. Merrill is over 50 years old. He potentially faces life in prison or, even if something substantially less, still a sentence that may keep him imprisoned into his senior years. Facing this kind of personal disaster, in light of available refuge elsewhere in the United States and overseas, bond is not reasonably likely to keep him here. Well, TelexFree people are not going to be happy with this news like they claimed they were when they were in support of a Trustee being appointed. Of course their reason for being happy then was they thought they were going to get Stuart McMillan appointed as Trustee. They were truly delusional if they thought that was going to happen. Maybe now the faithful will finally wake up and realize what a huge Ponzi scheme this truly was, and they all got taken. Well, except for the major winners that is. Clawbacks are going to be a blast. Things are hotting up in Telexfreeland. 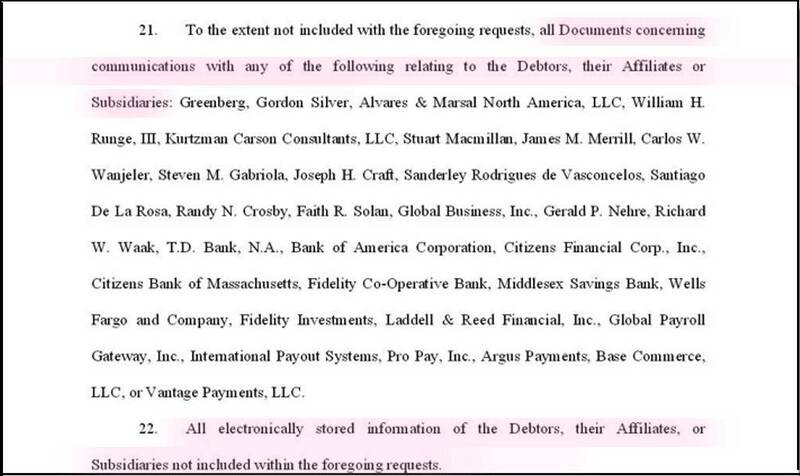 respectfully moves for the entry of an order authorizing the Trustee to issue a subpoena upon and obtain all Documents as defined in Exhibit “A”,relating to the Debtors from the law firm Greenberg Traurig, LLP (“Greenberg”), co-counsel to the Debtors"
One gets the distinct impression Stephen B Darr ain't messin' around. It appears Steve Labriola is singing out of the same hymn book as Faith Sloan by crying poverty and says he wants to move on to a new "job"
[B]It appears Steve Labriola is singing out of the same hymn book as Faith Sloan by crying poverty and says he wants to move on to a new "job"
What is it with the Ponzi/HYIP/MLM community? Setting aside the illegality and improbability of success in these schemes, all these "leaders" are broke, or at least crying poor-mouth. but they are also all liars. People lying on the internet and in hotel conference rooms lying about money, that must be a recent development. merely rumor at this point if you listen to them. At this point in the proceedings, I don't think boasting about how much money they've got or made would be the smartest thing they could do. Re: Zeek Rewards !! How to get to $3K a month, starting as a free member ! Rule 2004 examination - an extended examination of any person pursuant to Federal Rule of Bankruptcy Procedure 2004 regarding one or more aspects of a debtor’s financial affairs. 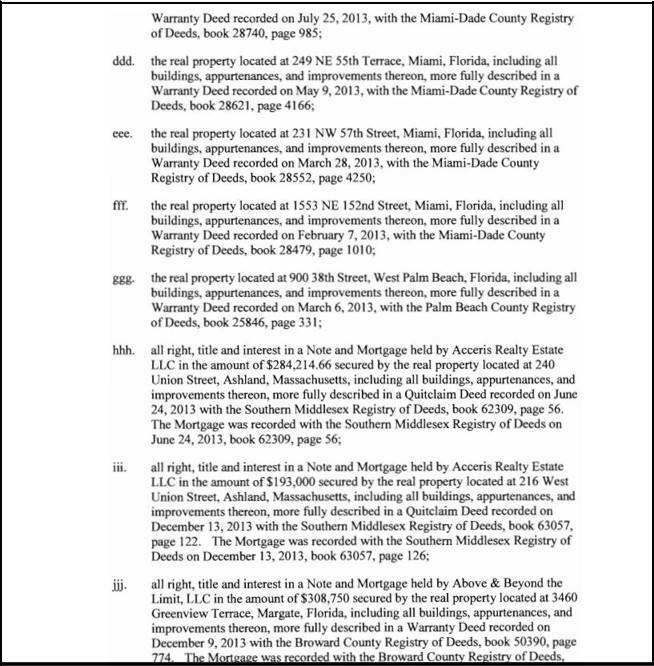 A Rule 2004 examination is similar to a deposition in non-bankruptcy proceedings. 11. 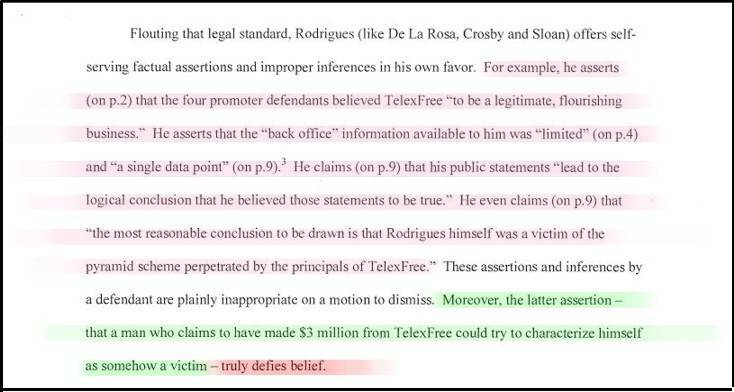 Based on the information currently available to the Trustee, the Trustee admits the allegations contained in paragraph 11. 12. Based on the information currently available to the Trustee, the Trustee admits the allegations contained in paragraph 12. 13. Based on the information currently available to the Trustee, the Trustee admits the allegations contained in paragraph 13. 14. Based on the information currently available to the Trustee, the Trustee admits the allegations contained in paragraph 14. 15. Based on the information currently available to the Trustee, the Trustee admits the allegations contained in paragraph 15. 16. 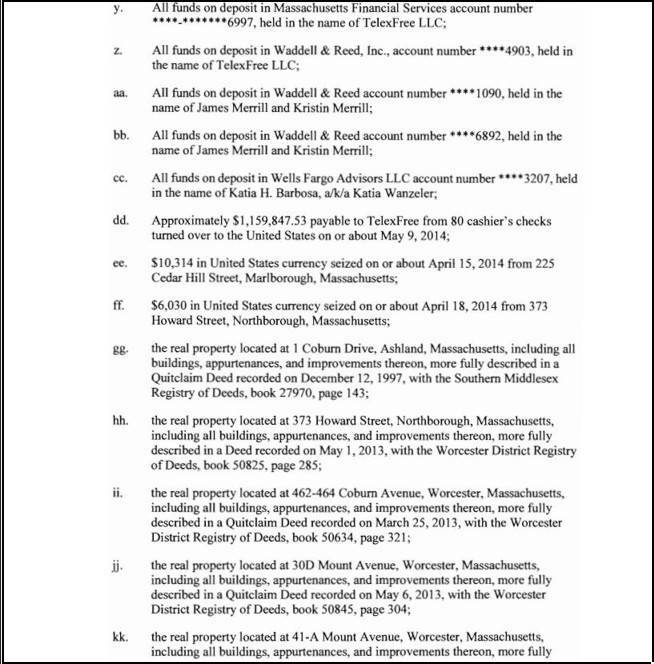 Based on the information currently available to the Trustee, he admits the allegations contained in paragraph 16. 17. Based on the information currently available to the Trustee, the Trustee admits the allegations contained in paragraph 17. 18. Based on the information currently available to the Trustee, the Trustee admits the allegations contained in paragraph 18. 19. Based on the information currently available to the Trustee, the Trustee admits the allegations contained in paragraph 19. 20. Based on the information currently available to the Trustee, the Trustee admits the allegations contained in paragraph 20. 21. Based on the information currently available to the Trustee, the Trustee admits the allegations contained in paragraph 21. 22. Based on the information currently available to the Trustee, the Trustee admits the allegations contained in paragraph 22. They're tryin' hard to keep nehra all the way under that bus.